From Rte. 56 in Lower Yoder, turn onto J St. heading south. Turn right onto Edgewood Ave. The end of Edgewood Ave. will stop at Kaiser St. 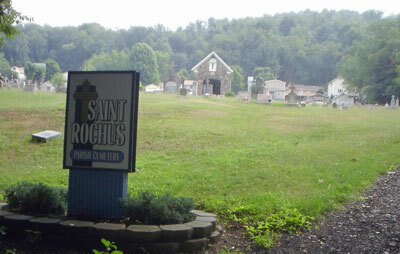 The cemetery will be in the plot of land across Kaiser St. St. Rochus, St. Emerich & St. Nicholas share the same plot of land.